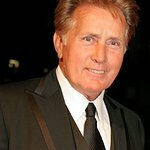 Veteran actor and former President of the United States (at least on TV’s The West Wing) Martin Sheen is to be honored for his humanitarian work – not just once, but twice! 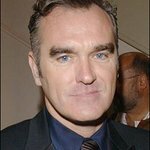 It has just been announced that the actor is to collect the Marlon Brando Award for his career and humanitarian efforts at the fourth annual Stella By Starlight gala benefit on March 17, and follows hot on the heels of the news that the 67-year-old is to receive the University of Notre Dame’s Laetare Medal at a ceremony on May 18. “He has used [his] celebrity to draw the attention of his fellow citizens to issues that cry out for redress,” said University President Rev. John Jenkins. “Such as the plight of immigrant workers and homeless people, the waging of unjust war, the killing of the unborn, and capital punishment”. As well as donating time and money to many charities – such as PETA, Earth First, and Help Darfur Now – Sheen has also been involved in many protests involving causes he is passionate about. In 1995, while protesting the annual slaughter of Canadian seals with the Sea Shepherd Conservation Society, the actor was attacked by angry hunters. Then, in 2007, Sheen was arrested while protesting against nuclear weapons in Nevada. Former recipients of the Laetare Medal include John F. Kennedy, former Supreme Court Justice William J. Brennan, and former US House Speaker Thomas “Tip” O’Neill.